I can't believe the party is almost over. We only have two more days to go. I think we had fun, inspiration and I'm happy to say many newfriends! 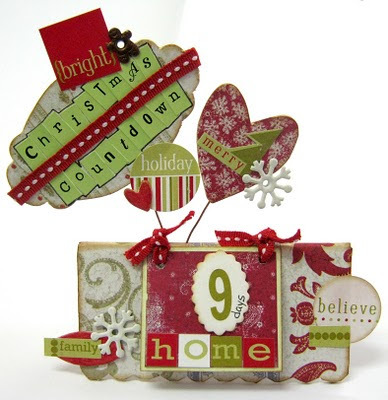 A really fun project to make is a countdown board for the holiday. I decided to make one from Sizzix 3D Gift Toppers Die. 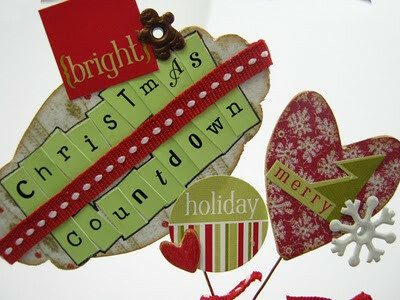 Instead of using the toppers on a gift I used them as a small countdown board for my desk! This way I can never forget how many days I have before the holiday and how little time I have left to do all the things that need to be done! Every day I take one day off and I know the holiday is getting here really fast! 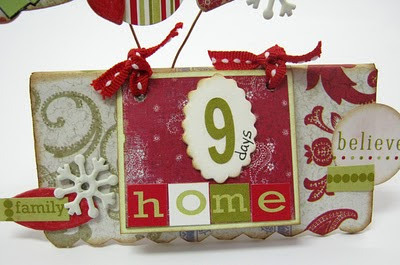 Day 9 Mission: (if you choose to accept it) is to share your holiday traditions – how do you countdown for the holiday? What preparations do you make? And what traditions do you have? Post it on your blog, on FB, on message boards, anywhere on line you want with a link to the Blog Party. Then go back to my blog and write a comment with a link to your post. 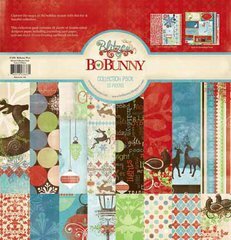 Day 9 giveaway: today's winner will get Bo Bunny Blitzen Collection 12X12 Pack. 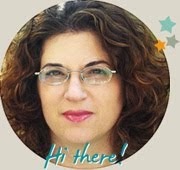 רק עכשיו ראיתי את הפרויקט. םרסמתי אותו ואת ה"הכנות שלנו" בבלוג שלי. Einat, your countdown calendar is magnificent! Great colors and a fun use of toppers. I love the desk countdown. it's really cute!